Parkinson’s UK have announced a new partnership with artificial intelligence experts BenevolentAI. To celebrate, we take a look at how technology is helping researchers find new and better treatments, and discover more about this intelligent research project. Technology is changing the way we do research into Parkinson’s. Advances in brain scanning technology are helping researchers to see inside the living human brain with ever increasing detail, while improvements in chemical detection are closing the gap on definitive diagnostics tests and effective measurements for Parkinson’s. At the same time, automation of basic biology techniques is speeding up the search for new and better drug treatments, and technology has reduced the time it takes to sequence a persons DNA from 13 years in 2003, to a little over a day in 2015, to just an hour today. But advances in technology are not confined to scientific labs, today in the pockets of over 40% of the global adult population is a mini computer. 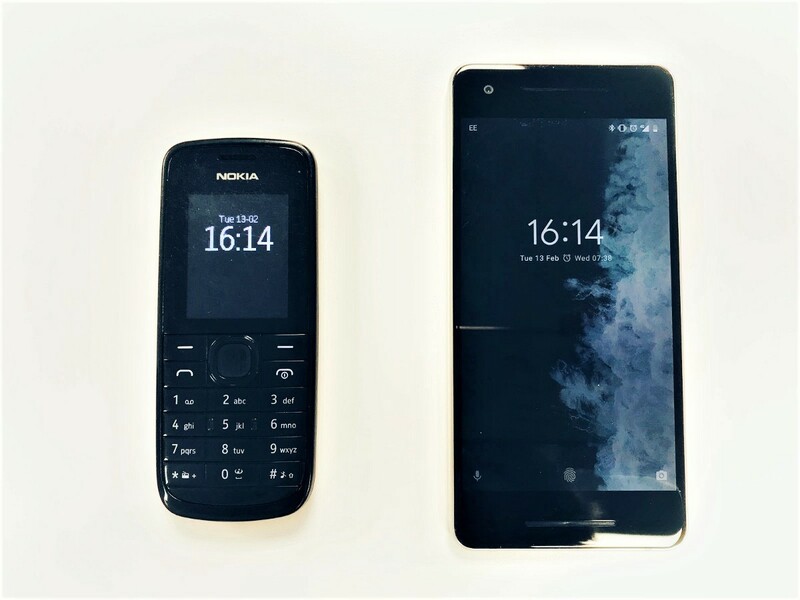 Our mobile devices have come a long way in the last decades and are no longer restricted to simply making phone calls, sending messages and playing a game of snake. A smart phone in 2018 has all the sensors needed to detect changes subtle changes in movement, voice and even sleep — which can all be affected by Parkinson’s. And, as it is claimed that more people now own a mobile device than a toothbrush, researchers are putting this ubiquitous technology to use. Measuring Parkinson's is a major barrier in clinical trials that are testing new treatments that aim to slow, stop or reverse the condition. The use of technology in research represents a huge opportunity to develop better ways to monitor Parkinson’s much more objectively. In 2017 an Android app, called CloudUPDRS, made the headlines with its promise of making symptoms easier to track and the potential to flag problems earlier than could be identified through current diagnostic techniques. While the name of the app may not sound that snappy, it comes from a Parkinson’s specific assessment of both motor and non-motor symptoms — the Unified Parkinson’s Disease Rating Scale. The CloudUPDRS app collects physical measures using the phone’s sensors. For instance, by asking the user to hold the phone flat in their hand sensors can measure the presence of a tremor, or by slipping the phone into a back pocket an assessment of gait can be generated as someone walks around. Then there are tasks on the device itself, like onscreen tapping tests, as well as simple questionnaires that collect self-assessment data, replicating how a specialist would assess the non-motor symptoms of Parkinson’s in areas such as mood, anxiety and memory. The benefit of the app is that assessments can be made without the presence of a specialist, all that is needed is a compatible device with the right technology inside. This means assessments can be done at multiple times of the day, and even at home, to get a more comprehensive picture of an individual’s symptoms than can be obtained through a single snap shot assessment with a specialist. Since the release of CloudUPDRS, other researchers have developed apps to measure Parkinson’s, these apps may even allow symptoms to be detected before diagnosis. Participants in the Oxford Parkinson’s Disease Centre study may recognise the app in this video from when our Director of Research took part in a research study. 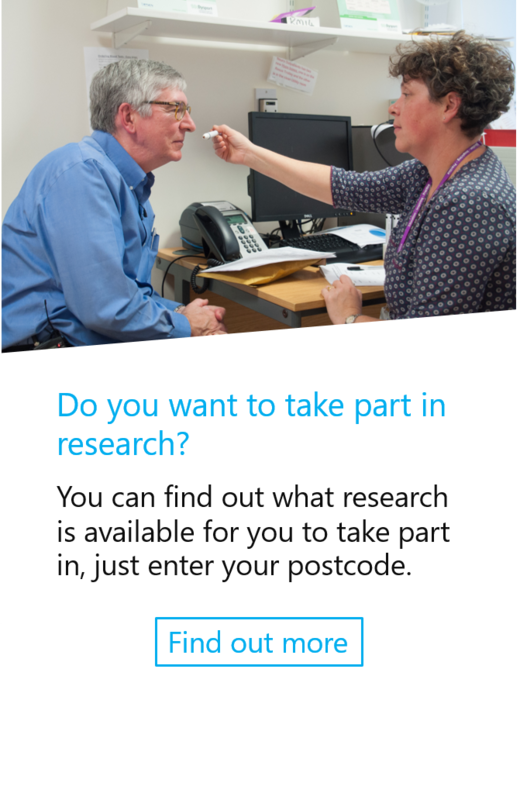 And if you fancy seeing this type of app in action, and are an Android or Window smart phone user aged between 40–90, there is even an opportunity to take part in similar research from the comfort of your own home. The use of technology to measure Parkinson’s doesn’t end with mobile apps, and studies are increasingly using wearable technology to collect additional data. In 2014, The Michael J. Fox Foundation launched the Parkinson@Home Study that involved the use of a smartwatch and the Fox Wearable Companion app, developed by Intel. The interactive app enabled users to stream data, including activity levels, tremor and movement during sleep, from the smartwatch to their smartphone. Participants also were able to set medication reminders, record taking medication and rate symptoms, such as tremor, dyskinesia and rigidity, within the app. In 2016, Pfizer and IBM took this even further with the launch of an innovative new research project called BlueSky. The aim was to set up a living space with hundreds of different sensors and mobile devices to collect real-time, real-life information about the symptoms of Parkinson’s that could be used by researchers and doctors. 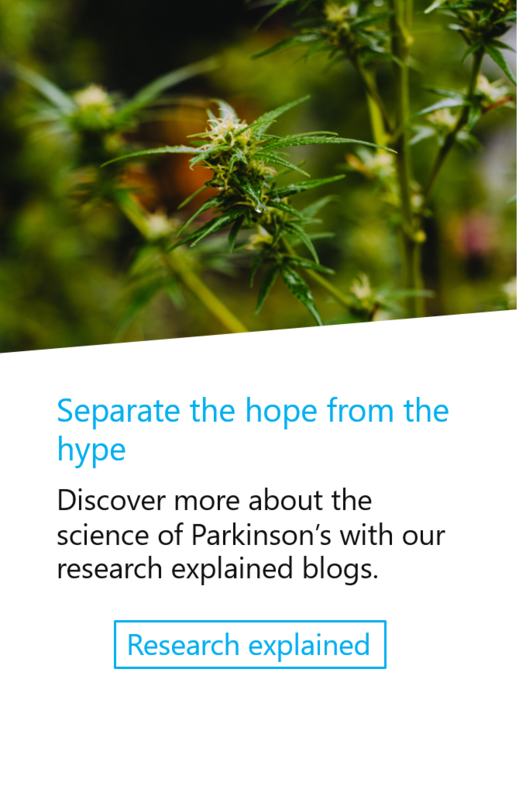 But that’s not all, the researchers also hoped to find connections between symptoms and other factors, such as medication timing, which could be used to improve clinical trials in Parkinson’s. To do this the project would extend into the world of artificial intelligence by using IBM’s machine learning platform, Watson. While advances in the way we measure and monitor Parkinson’s will undoubtedly change research for the better, some of the latest technological advances have a more futuristic quality. Artificial intelligence is being heralded as part of the fourth industrial revolution. And, like the industrial revolutions before it that saw the introduction of steam power, mass production and automation, it is beginning to shape all aspects of our world, including health care. So what exactly is artificial intelligence? 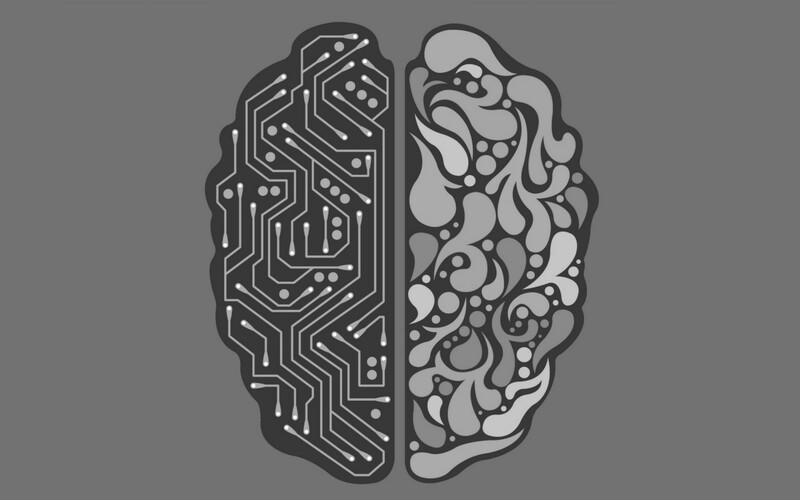 Artificial intelligence (or AI) refers to a computer systems or programme that demonstrates at least some behaviours associated with human intelligence. This could include planning, learning, reasoning, problem solving, understanding, social intelligence or creativity. Machines with artificial intelligence capabilities are built for a range of purposes, for instance to beat competitors in chess and Go — a popular strategy game in Japan — or to pilot autonomous cars. We may even see AI referees in the 2020 summer Olympic games in Toyoko as Fujitsu is developing software that uses data from 3D sensors to score gymnastics events, and already police forces are using AI to predict when and where crime is likely to occur. But, while these uses all have value and merit, some of the most compelling applications of AI is in biology where this technology is helping to tackle human conditions and disease. Today, AI programmes are being built to analyse complex medical data and images to look for signs of cancer, predict when someone is most likely to have a heart attack or stroke, and even recommend treatments. These applications have the potential to improve the way we diagnose, predict and manage health conditions with currently available treatments. Additionally, and perhaps more excitingly, AI can also lend a hand to improve clinical trials and speed up the development of new drugs and better treatments. The traditional approach to developing new and better treatments for any medical condition is costly, and it often takes decades to get a new drug to the people who need them. But now Parkinson’s UK have a new partnership with a leading British artificial intelligence company, BenevolentAI, to try something new — seeing if AI can unlock the masses of existing research data to deliver new therapies, faster. One approach to speed up drug discovery is to search for drugs that treat more than one disease — for example aspirin, which was originally developed to treat pain, can now be used to thin your blood as well. Repurposing a drug to treat another disorder is cheaper, as it saves on drug development costs. And since it has already been shown to be safe in humans, the drug can be tested on people affected by Parkinson’s immediately, saving time. You can read more about drug repurposing in a previous blog post. Drugs that may have potential to be repurposed for Parkinson’s can be identified in several ways. Firstly, we can look back through patient databases to see whether individuals treated for the original medical use of the drug have a lower incidence of the condition. The UK Clinical Practice Research Datalink (CPRD) is one of the most extensive linked GP databases in Europe and includes over 14 million patient lives, with over 7 million currently registered and active patients. The first usage of CPRD in Parkinson’s research demonstrated that individuals who regularly used the anti-inflammatory drug ibuprofen had a lower incidence of the condition. Unfortunately, ibuprofen is not suitable for repurposing due to side effects it can have with long-term use. But since this success, patient data has been used in this manner to identify other drugs with potentially protective properties, such as the blood pressure lowering drug isradipine, which is currently being tested in Parkinson’s, and the glitazone anti-diabetic class of drugs, which includes the drug pioglitazone. These drugs were all identified by humans using a methods called hypothesis-driven data mining that is unfortunately highly time consuming. But perhaps with access to the same data AI could do the job faster. Machine learning techniques could be used to systematically screen large libraries of different medications in the search of other drugs that could be repurposed, and also identify how they work — information that can be used to develop other drugs that work in a similar manner. Another way to identify drugs with untapped potential is by utilising our vast knowledge of how different drugs work, alongside our understanding of the how brain cells are affected. For instance, we know Parkinson’s compromises many different parts of the cell — including the batteries and waste disposal systems — ultimately leading to cell death, but an AI may be able to find drugs that correct or cancel out these affects. Similarly, we know that changes in certain genes can change the way brain cells function and increase risk of developing the condition, but some drugs may be able to counteract these changes and reduce risk. This unique use of AI will enhance our ability to unlock existing data to identify new Parkinson’s treatments. 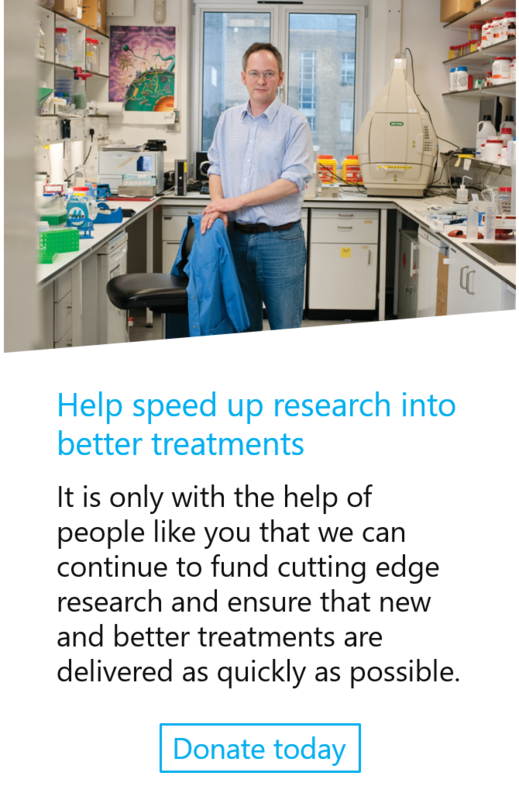 And the benefit will be increased further alongside other technology that allows us to collect more detailed information about how Parkinson’s affects individuals on a day to day basis, and how they respond to treatments in clinical trials. While researchers are using technology to predict, detect and measure Parkinson’s, and to speed up the delivery of new and better treatments, technology is also starting to make life with the condition easier. Over the last year we’ve seen enquiries about apps and devices increase significantly. A quick search on the internet will show up many promising results, from a watch that reduces tremor to apps that help you take medication on time, and people want help sorting the hope from the hype. So we’re teaming up with Our Mobile Health to create a library of health and care apps and devices for people with Parkinson’s curated with the help of those with the condition. So this year, whether you are taking part in research or looking for a tool to better control your symptoms, technology is likely to play an important role. And, as we move closer to new and better treatments, it’s very possible that the technology in your back pocket could be the answer to a cure.